I just bought DirectWave after liking the trail version in FL 12. I did what the site did, unlocked the software on my account, then resigned into FL to update the registration. Reopen FL and using DirectWave still does not let me save my projects, giving me this message . 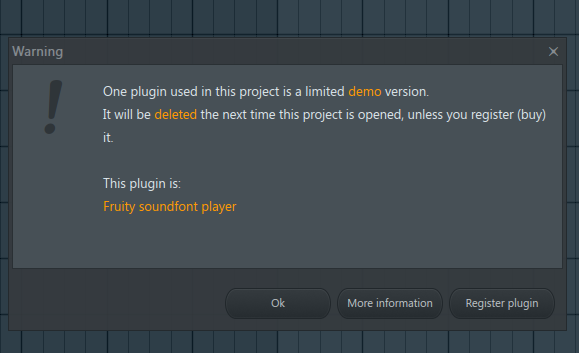 I have tried different soundfonts, yet it seems to be DirectWave for some reason hasn't synced with my account. Does anyone know what I can do so I can start saving while using DirectWave? Do I need to reinstall FL or is there something I am missing?